Priced to sell!!! 5.5+ wonderful private acres on intracoastal with million dollar views. Zoned R-3, R-R and R-1. Enjoy the outdoors with lots of water, fishing and boating among million $$ homes. Remodel or build your dream home or homes. 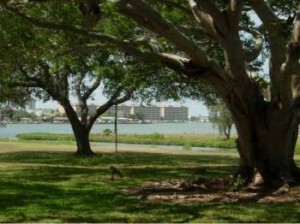 With additional land available, 5.5+ more acres makes this parcel the largest waterfront available in Pinellas. Total of just under 12 acres in all – come see! Total privacy with that old Florida rustic feel surrounded with wildlife and minutes to shopping. Surveys and site plan available. Seller will finance.